This is a top performer for size, flavour and uniformity, originally found in Vietnam in the 1990s. 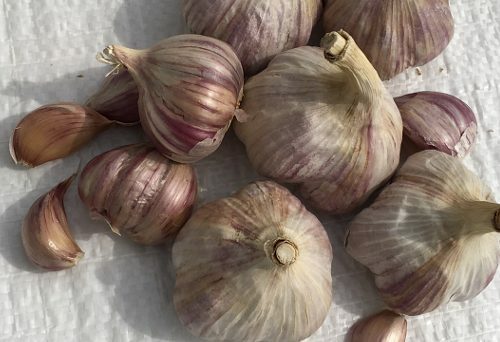 Bulbs are 6cm across and covered white skin streaked with purple; 7-9 cloves per bulb. The flavour begins with mild heat and ends with a spicy flourish.